Have your say about our pool! 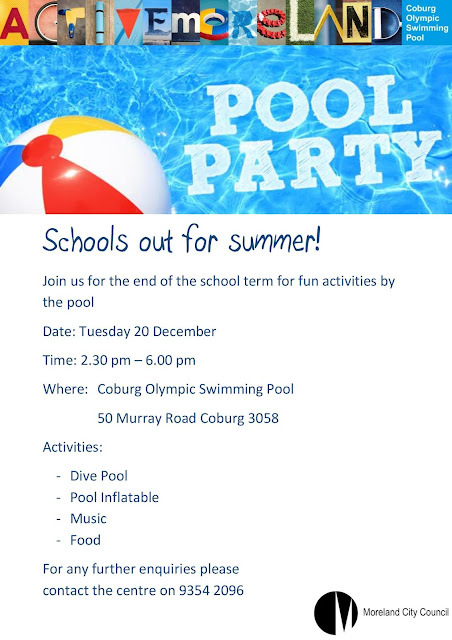 Now is the time to have your say about the Coburg Olympic Swimming Pool we all know and love. Read the comments too - I think a lot of us have similar concerns, opening times, water temperature, shade, how fabulous it is... Please speak up and ask your friends to have their say too. 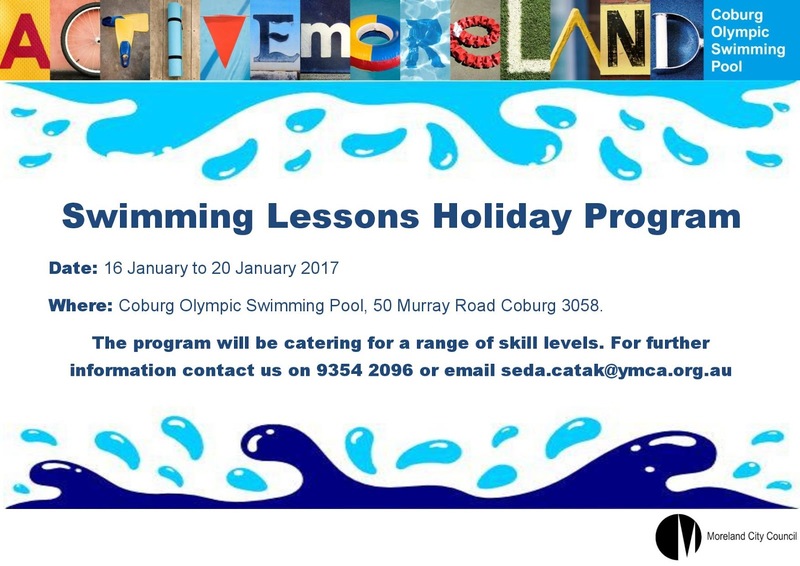 Moreland City Council is developing and Aquatic and Leisure Strategy to help guide the future of the service for the next 10 years and beyond. This will provide a strategic document for the planning, provision and direction of Council's six aquatic and leisure facilities. How we provide cost efficient and finacially sustainable facilities. Throughout the development of the strategy there will be a number of opportunities for everyone to have their say.